If you have received a traffic ticket or have been arrested for driving while intoxicated (DWI) in North Carolina, you may have a lot of questions. Should I just pay the ticket? Will my insurance rates go up? My work requires me to drive – what will this do to my job? This is my second DWI arrest; what do I do now? If you’ve been pulled over for a moving violation in North Carolina or elsewhere, you may think the best thing to do is just pay the ticket. This is not always the best option. Not only does the state of North Carolina assign points for moving violations, insurance companies in the state maintain a separate schedule of “insurance points” that may result in significant increases to your insurance rates. 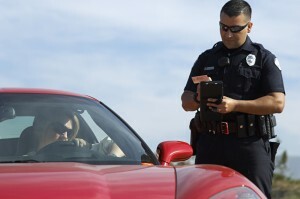 Paying the ticket is admitting guilt, so not only would you have license points, you could see a hefty insurance rate increase that would be in place for at least three years. If you have received a traffic ticket for a moving violation, you may wish to hire a traffic attorney to protect your interests. In certain situations, the North Carolina Division of Motor Vehicles (DMV) may suspend or revoke your driver license. This can happen with specific types of moving violations or in cases where a medical issue may cause you to be a danger to others (i.e., if you have had a seizure while driving). In order to get your license reinstated, you will likely need to attend a hearing at the DMV offices. You may wish to hire an attorney to represent you at this hearing to ensure your rights are protected. If you have been arrested for DWI, the first step you should take is to hire a good criminal defense attorney with experience handling DWI cases. DWI covers impairment due to alcohol or drug use. There is no such thing as a “simple” DWI arrest, even if it is your first DWI. You have the right to have an attorney represent you. He or she can ensure your rights are protected under the law. Brinkley Walser Stoner has built a solid traffic law defense team that aggressively protects the rights of its clients through diligent representation in District Court. A traffic attorney will to try your case if necessary and appeal it if appropriate to the Superior Court. The effect of convictions for traffic tickets and DWI charges can impact an individual’s ability to work and to handle personal affairs. A loss of one’s driving privileges is devastating to the driver and the family. Legal advice should also be obtained when dealing with offenses involving points against your driver’s license. Consider that convictions may raise your insurance rates. Having the right traffic attorney can make a difference. Contact us today to learn more.